I got to the lake edge this morning and found Broken Feather on a log at the shoreline. 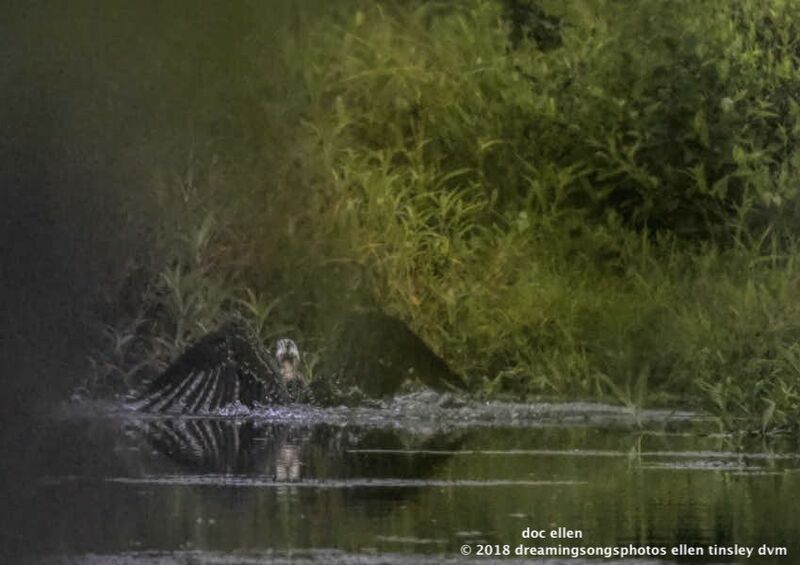 She was trying out a new way to fish – not an osprey way at all. 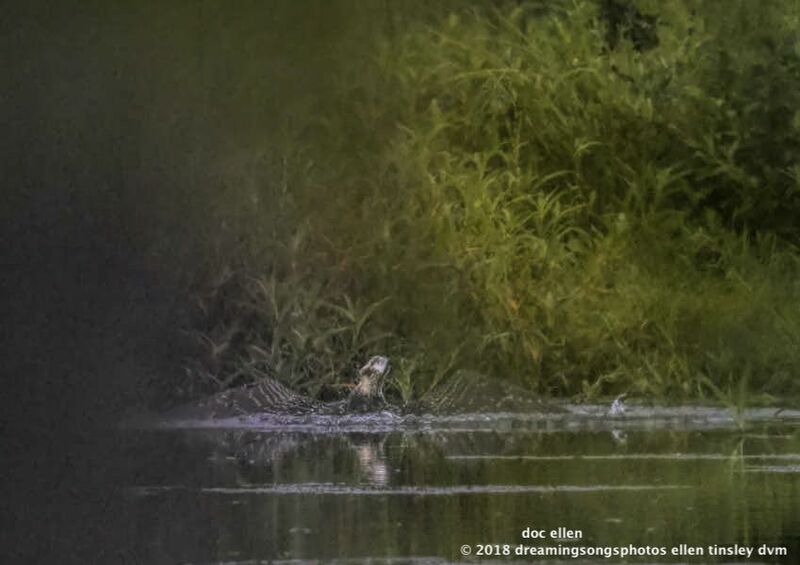 Maybe she had been watching great blue herons stalk the shoreline and go after a fish. There is an deep pool of water at her feet. 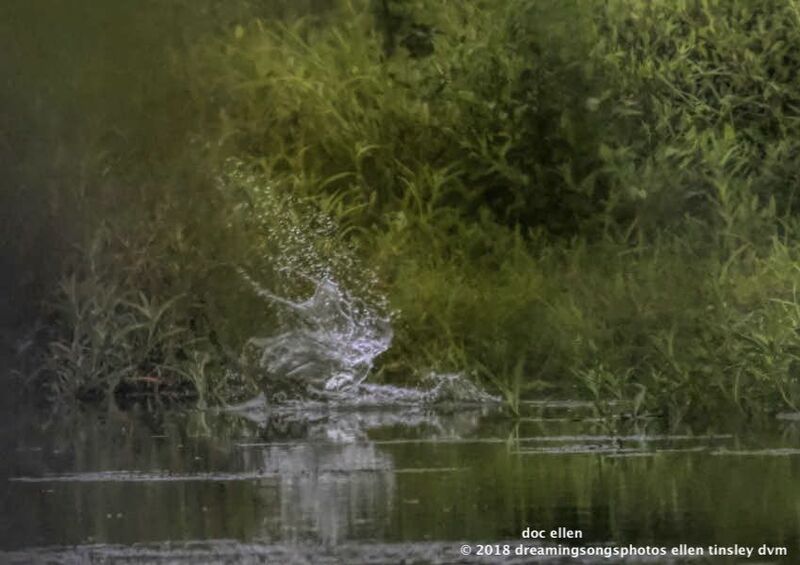 A fish flashed by and Broken Feather made a leap – talons flared in hopes of catching the fish. Broken Feather was almost hidden by the reeds between us as she hit the water. 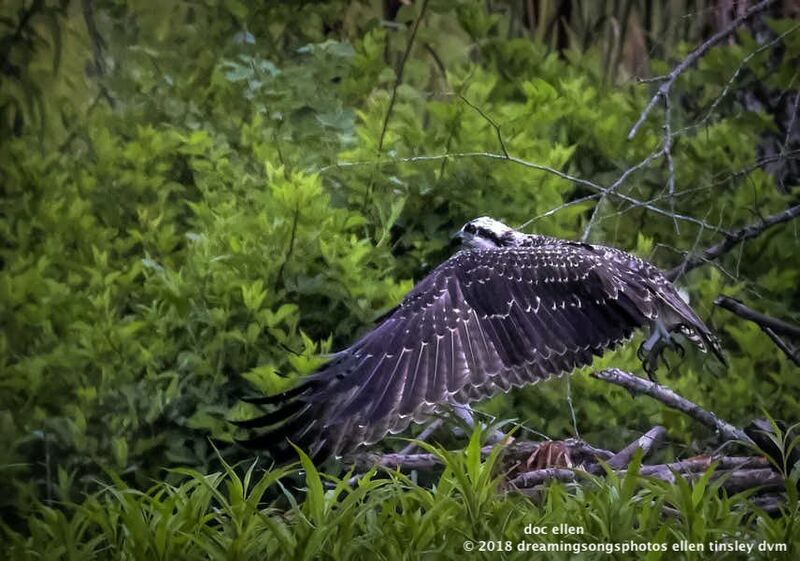 Thankfully, ospreys swim well even when they are mad that they have made a miscalculation. She missed the fish and I missed the shot of her jumping back up on the logs. Twice she tried this way to catch a fish and twice she missed. We will have to see what she does the next go-around. 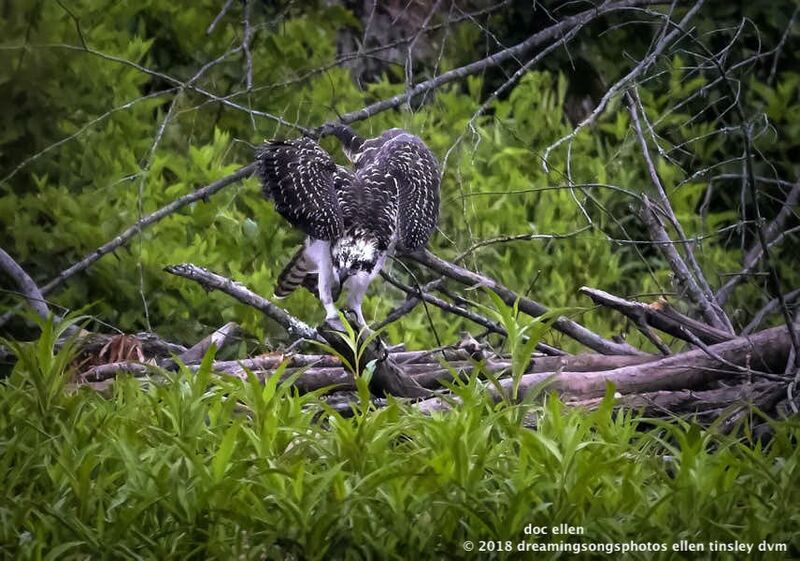 Dad osprey did bring a fish later in the morning and both Broken Feather and Piper had a meal in the nest. Her tail made her jink hard to the left as she approached the rim of the nest. 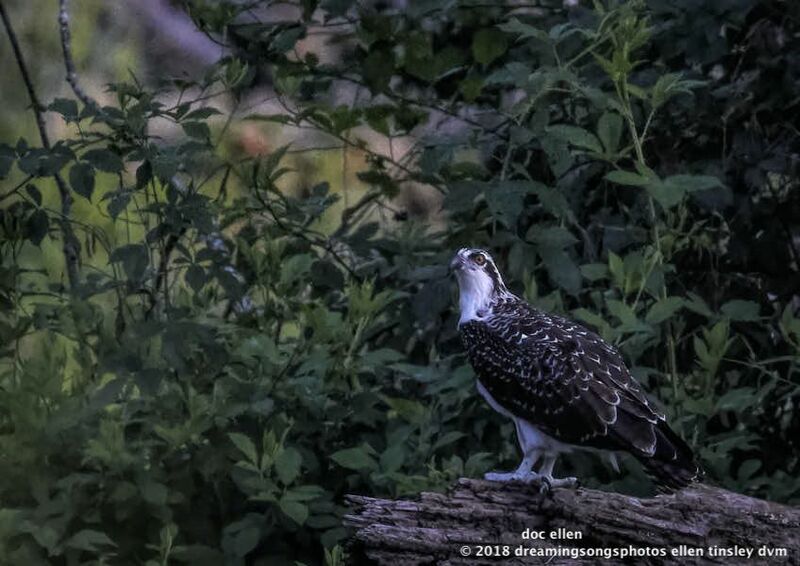 Posted in birds, Jordan Lake, Jordan Lake State Park, ospreys of Jordan Lake, photography, wild birds and tagged as Broken Feather, Jordan Lake, Jordan Lake State Park, osprey, osprey female, osprey fledgling.